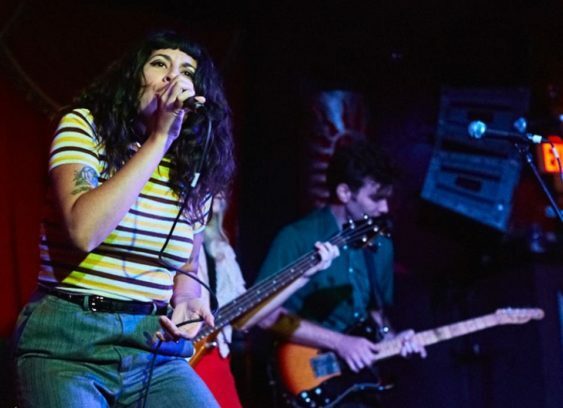 Through her craft, Jessica Hernandez speaks to a powerful message of positivity, with her band The Deltas retaining a versatile, one-of-a-kind sound. Their mercurial, often gritty sound reflects all of the Motor City’s musical traditions as well as some outside its geographical and multicultural boundaries. Having performed alongside the likes of Gogol Bordello, Social Distortion, and St. Paul & The Broken Bones, Hernandez embodies a provocative and deeply personal representation of America’s capacity for rebellion, assimilation, and creativity. Sorry! The contest for Goth Pop, Latin & Psychedelic Surf Rock : Jessica Hernandez & The Deltas | Bottom of the Hill has ended.